Cuba Education Tours, Explore MORE for LESS. Travel to 4 Cuban UNESCO Heritage Sites and the Bay Of Pigs. Cuba is a paradise in the Caribbean, just 90 miles off Key West. In fact, Cuba is so close that swimmers have made it from coast to coast, even without a shark cage! Yet Cuba is the forbidden fruit for most American travelers due to the US travel restrictions and the frozen diplomatic relations in between the two countries. 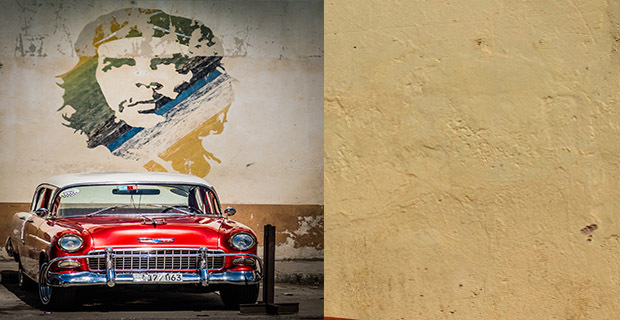 The discerning travelers are taken off guard when joining our people-to-people tours to Cuba. They are surprised to find a bubbly atmosphere charged with the smoke of Cuban cigars, the loud music that pours out of the windows of 1950’s vintage cars, the lively salsa dancing in every corner, and the entrepreneurial spirit of the Cuban people. Not what they have anticipated for sure! Absorb it all in a short time by the hand of the USA Cuba travel experts! Accredited schools and universities will no longer need to apply for a Specific License for Cuba travel by their students, faculty and staff (including but not limited to adjunct faculty and part-time staff). Discover the Authentic Cuba that lies in spirited neighbourhoods, secluded coastal towns, and UNESCO World Heritage Sites. Authentic Cuba Travel excels at tailor-making cultural tours that offer American academic institutions the possibility to explore Cuba beyond tourist traps. Click Here for CUBA CULTURAL TRAVEL FROM USA. Relive the History of the Bay of Pigs Invasion, Visit the Che Guevara Mausoleum and Explore 4 Cuban UNESCO World Heritage Sites with our Cuba Education Tours! No Other Cuba Educational Travel Provider Offers SO MUCH for so little! When it comes to Authentic Cuba Travel, the savviest Cuba explorer used a straightforward approach to recognize the roads less traveled, yet most worthy of discovery: FOLLOW THE LOCALS! Our Cuba education trips offer exciting adventures to genuine towns, picturesque villages and historical sites, and this cultural & educational journey is no exception. After days of full exploration of Havana city and UNESCO World Heritage Site, Old Havana, we will explore several authentic Cuban destinations established along the Caribbean southern Cuba coastline. The secret ingredient to our education tours to Cuba is a laid back blend of pure and real destinations, attractions and activities; nature and culture; history and discovery. Touring the unspoiled Caribbean beaches of Bay of Pigs and reliving the history of the botched Playa Giron invasion of 1961; exploring UNESCO World Heritage Sites such as Cienfuegos, Trinidad and the Sugar Mills Valley; and visiting the Ernesto Che Guevara Mausoleum in Santa Clara city are just some of the highlights that will make your authentic Cuba tour one of the most outstanding experiences of your life. American education professionals of all levels will also have a rare break to travel to Cuba legally and to gain access to Cuba educational institutions and community projects. Private visits to the University of Havana, the Lizt Alfonso Ballet School, La Colmenita, a world-acclaimed children theatre school, the Jaimanitas and the Cintio Vitier Community Projects, among others are part of our education tours to Cuba and a unique opportunity to learn more about Cuba’s educational system and learn firsthand about the daily life of the Cuban people. When you learn more, you enjoy more. Your educational travel experience to Cuba wouldn’t be complete without a full immersion in the cultural life of the Caribbean island. Just when you think that your educational journey to Cuba can’t get any better, you will find yourself following in the footsteps of American novelist, journalist and writer Ernest Hemingway; meeting privately with renowned Cuban artists; visiting the largest collection of Cuban visual arts in the world; attending popular and colorful ceremonies; dancing to Cuba’s contagious musical rhythms and more. And you will be pampered and escorted by our dedicated 24/7 team of Cuban experts who are knowledgeable, humorous, smart, patient and flexible, and will make sure your trip exceeds your expectations. Read trip reviews by past travelers and find out why we have the best team around. Choose to stay at the Presidente Hotel, an iconic facility that has been recently refurbished to his former glory, or upgrade to the Hotel Nacional de Cuba, a symbol of Cuba’s hospitably industry, either way both hotels are centrally located and offer superior comfort and city and/or ocean views. Can not travel during these dates? No worries. We have more tour departures! 5 nights at Riviera or Cohiba Hotel (Breakfast Included). 2 nights at Jagua Hotel (Breakfast & Dinner included). 14 Meals Included: 7 Breakfasts, 4 Lunches & 3 Dinners. 5 Stars Services by 24/7 Dedicated Authentic Cuba Travel Team. Private Modern Air-conditioning Motor Coach (Door to Door). Insightful Exploration of Old Havana, or Habana Vieja. Overnight in Cienfuegos in the Caribbean Southern Coastline. 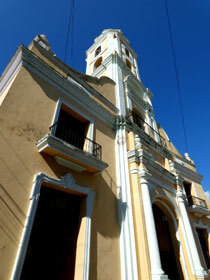 Tour Trinidad, nestled between the Caribbean Sea and the Escambray Mountains. Explore Cuba's Sugar Colonization at the Sugar Mills Valley. Go Up Front and Explore the Battlegrounds of the Bay of Pigs. 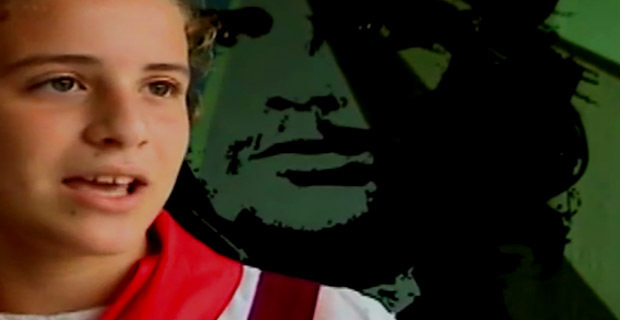 Travel to Santa Clara to Visit the Ernesto Guevara Mausoleum. Meet Young Artists at La Colmenita Children’s Theatre Group. Backstage Tour the Lizt Alfonso Ballet School. Meet Dra Luisa Campos at the National Museum of Literacy. Meet Students & Teachers at Outreach Project Cintio Vitier. Venture in Ernest Hemingway’s Hangouts in Cuba. Explore the Famous Street Markets and Art Galleries. US University and College Professors, Faculty & Staff, K-12 Teachers, and other Education Professionals from USA interested in conducting professional research on Cuba’s Educational System can travel to Cuba under the provisions of the General License for Professional Research. Non-education-professional citizens from USA interested in visiting Cuba to learn more about Cuba’s Educational System can travel to Cuba under the provisions of the General License for People-to-people Educational Group Travel issued by US organizations. The Educational tours to Cuba kick off with a private visit to the headquarters of the children theatre group “The Little Beehive” (La Colmenita, in Spanish) located in Vedado neighborhood. This famous theatrical company, declared as official UNICEF Goodwill Ambassadors, has performed extensively around the globe and even in the United States recently. Even though it represents a very small geographical area of Havana city today, Old Havana is one of the main tourist attractions of Cuba and a place worth visiting, at least for a day. This UNESCO World Heritage Site contains a great architectural wealth of colonial imprints that would be explored insight with the expert guidance of our Authentic Cuba Travel tour guide. At Authentic Cuba Travel we believe in the value of supporting arts and culture in Cuban communities. Educational Cuba Travel participants will tour schools like Escuela de Ballet (Ballet School) Lizt Alfonso, which in turn helps promoting access to artistic education in the local communities. Lizt Alfonso has created a particular style of dancing that blends Spanish and African origin rhythms with old school ballet techniques. Following in the footsteps of Ernest Hemingway in Cuba is a highlight of the Cuba educational tours. The renowned US author lived in the Caribbean island for about twenty years. Hemingway established his residence in the working-class community of San Francisco, in the outskirts of Havana city in 1940. Traveling to the battlegrounds and landing beaches of the Bay of Pigs invasion of 1961 is a special addition to our Cuba education tours. We will tour key battle sites, monuments and museum to relive the history of the CIA sponsored invasion that was defeated within 72 hours by the revolutionary forces of the new government. The Jose Marti Square is the place where the exploration of the old Cienfuegos usually starts in our educational tours to Cuba. 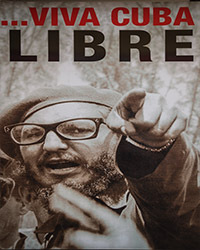 With your Authentic Cuba Tours guide bringing back to life the times when the US purchased the region of La Louisiana from Napoleon, an event that prompted several families of French refuges from that territory to find a new home overseas in this area, we will relive the act of foundation of the city in 1819. As a participant of our Cuba Education Tours, you will embark on a panoramic bus ride towards the Caribbean city of Trinidad, another authentic destination in Cuba. After traversing the Escambray mountain range and riding along the Caribbean Sea, you will arrive at this city which seems frozen in colonial time. Founded by Spanish conquistador Diego Velazquez in 1514, Trinidad and the Sugar Mills Valley were declared World Heritage Site by UNESCO in 1988. Cuba educational tours should visit the historic city of Santa Clara in central Cuba if really trying to get to know the real Cuba and its modern history. 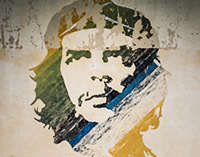 We will tour monuments, museums and key battle sites of the Battle of Santa Clara led by Ernesto Che Guevara which brought about the success of the Cuban Revolution of 1959. Believe it or not a visit to the humble Literacy Museum is a train-stopper when led by the passionate Dra. Luisa Campos, the museum director and a former participant of the 1961 literacy campaign herself that brought about the literacy rate of Cuba to 96% (from about 60% previously). Day 1. Saturday 28 December 2019. Popular gateways for our Cuba Education Tours are Miami, Cancun, Toronto and Nassau. We can arrange flights for you, including costumed connecting flights from most US cities. All flights land in Havana City though where tour participants are introduce to each other by our 24/7 dedicated team of Authentic Cuba Travel professionals. Our Education Tours to Cuba offer centrally located hotels to explore the best the Cuban capital has to offer. 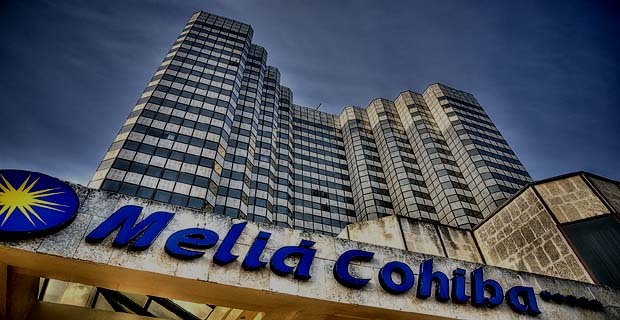 Next you are off to Vedado neighborhood, Havana’s vibrant downtown, to check in at your hotel: Riviera (economy package) or Melia Cohiba (premium package). Breakfast is included daily at your hotel main restaurant. Day 2. Sunday 29 December 2019. Morning: our Educational trip to Cuba kicks off this morning with a private visit to the children theatre group “The Little Beehive” located in Vedado neighborhood. This world renowned theatrical group, official UNICEF Goodwill Ambassadors, has performed extensively around the globe and even in the United States recently. The children and teachers will engage in a lively chat with our tour participants and even perform a play in English. What a treat! Even though it represents a very small geographical area of Havana city today, Old Havana is one of the main tourist attractions of Cuba and a place worth visiting, at least for a day or two. This UNESCO World Heritage Site contains a great architectural wealth of colonial imprints that would be explored next with the expert guidance of our Authentic Cuba Travel tour guide. The Square of Arms will be the starting point of our exploration of Old Havana’s main colonial squares and buildings. Flanked by El Templete, a neoclassical complex that marks the spot of foundation of the city by the Spanish conquistadores in the early 16th century, the Square of Arms is surrounded by impressive former military, administrative and governmental buildings that once served as the center of the Spanish authority in Cuba such as the Fortress of the Royal Force, the Palace of the Captain General, the Palace of the Vice-Governor, among others. Next our Cuba education travels will take us to San Francisco Square, a vibrant and colorful square with a trading pedigree. Originally cleared for merely supplying fresh water to the Spanish ships calling port in Havana, soon it became the site of Havana’s main warehouses and markets. Today you can still see its large waterfront facilities fully functional and restored serving different purposes from housing international cruise ship terminals to popular handicraft markets. At Authentic Cuba Travel we also like to make a stop at the Old Square not just because it is the largest in the historical centre but because it contains important cultural institutions such as the Cuba Photography Gallery, the Cuban Center for Visual Arts, and the art galleries of the Cuban Fund for Cultural Assets all housed in the one-time mansions of Havana wealthiest families. Time permitting we will visit some of this galleries. At the end of the 18th century the bishop established himself in Havana city, previously in Santiago de Cuba city, once the Cathedral of Havana was finished. Dominating the Cathedral Square, the smallest and coziest square in the Old city, the Cathedral of Havana was constructed using local building materials such as sea coral. It displays a dramatic baroque facade where you can still spot marine fossils in the stones. Before we wrap it up our walking tour of Old Havana, we will make a stop at the Arts & Craft Market of Havana where we can buy all sorts of artworks and souvenirs created by local artists and artisans. Having the dream and lifetime goal of creating artworks of the caliber of those by Gaudi and Picasso, and following the style of Brancusi, Jose Fuster’s art have stretched from his studio to the whole town of Jaimanitas, a fishing community in Western Havana. Our education tours to Cuba feature a visit to one of Cuba’s most authentic projects, the Jaimanitas Community Project where we will meet with Fuster who will also host a private lunch for our Authentic Cuba Tours participants. Afternoon: at Authentic Cuba Travel we believe in the value of supporting arts and culture in Cuban communities. By taking travelers to tour schools like Escuela de Ballet Lizt Alfonso that we will visit next, we are also promoting access to artistic education in the local communities. Lizt Alfonso has created a particular style of dancing that blends Spanish and African origin rhythms with old school ballet techniques. In the late afternoon, we will visit the private residence, art gallery and studio of renowned Cuban artists Alicia Leal and Juan Moreira. Day 3. Monday 30 December 2019. Morning: following in the footsteps of Ernest Hemingway in Cuba is a highlight of the Cuba educational tours. The renowned US author lived in the Caribbean island for about twenty years. Hemingway established his residence in the working-class community of San Francisco, in the outskirts of Havana city. In 1940, he bought himself a estate named La Vigia Farm in this area where he lived with his third and fourth wives, numerous dogs and a troupe of cats. 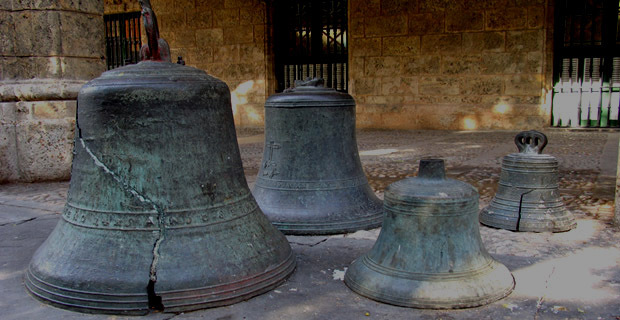 Here Hemingway wrote most of its most celebrated novels such as For Whom the Bell Tolls. 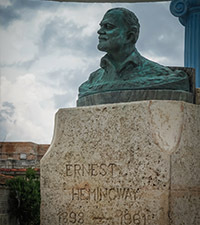 Today the estate is a museum dedicated to Hemingway’s life in Cuba. Complimentary Lunch: for lunch we will go to another of Hemingway’s favorite communities, the fishing village of Cojimar, founded in the 17th century at the mouth of the Cojimar River. At the heart of this picturesque town, we find an authentic Cuban bar-restaurant Las Terrazas, one of Hemingway’s favorite hangouts. The establishment contains a large collection of photographs as well as a painting and other memorabilia of the American author. Afternoon: if you want to discover the authentic Cuba you have to follow the locals: pure and simple. And next the education trips to Cuba go up close and personal with the locals of Nuevo Vedado. We will explore an amazing artistic outreach community project named after Cintio Vitier, one of Cuba’s most prolific authors of the 20th century. Under the leadership of Pedro Pulido, a beloved Cuban artist, a troupe of voluntary teachers teaches children and youth in this neighbourhood several art disciplines. 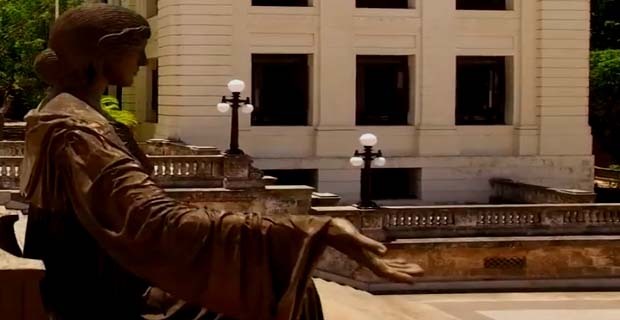 An authentic Cuba attraction not to be missed by any Cuba explorer is the Museums of Fine Arts (Cuban Collection Building) which contains the most valuable and complete collection of Cuban artworks in the planet. And that’s where we are heading next. Evening: another authentic Cuban attraction not to be missed in Cuba education tours is the daily ceremony of the Fire of The Cannon at 9 O’clock at the Fortress of La Cabana, the largest military fortification ever built by the Spanish rulers in Las Americas. Be ready to get “lost” among thousands of Cubans from all over the island who gather here every night to attend one of the most colourful ceremonies of the country. Day 4. Tuesday 31 December 2020. Morning: when it comes to Authentic Cuba Travel, the savviest Cuba explorer used a straightforward approach to recognize the roads less traveled, yet most worthy of discovery: FOLLOW THE LOCALS! And over the next three days, your education travels to Cuba will take you to explore several authentic Cuba destinations established along the Caribbean southern coastline. First we will travel to the battlegrounds and landing beaches of the Bay of Pigs invasion of 1961. 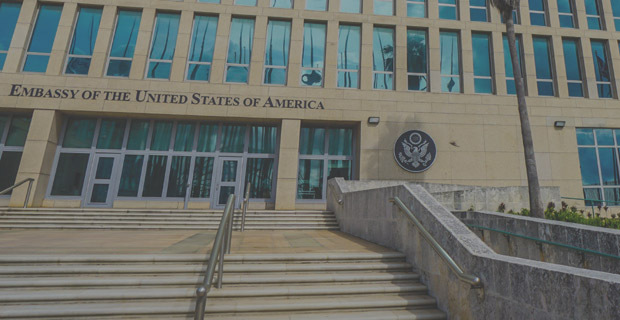 We will tour key battle sites, monuments and museum to relive the history of the CIA sponsored invasion that was defeated within 72 hours by the revolutionary forces of the new government of Cuba. 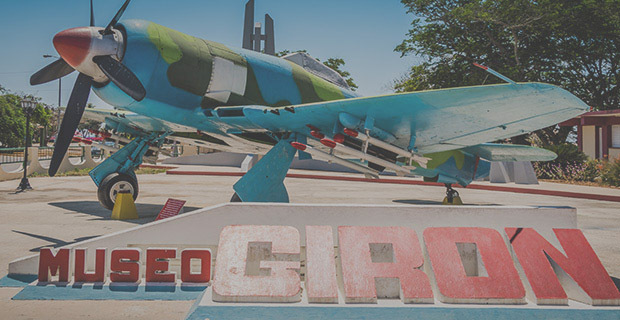 Finally we will visit the Bay of Pigs Museum that showcases artifacts, photos and documentation related to the botched invasion including a British Sea Fury plane that was used by the Cuban Air Force. Optional Lunch: at the various restaurants and cafeterias located at Playa Giron beach resort. Afternoon: the imposing neoclassical architecture, the lavish Moorish style of Del Valle Palace, and the striking military fortress Castillo de Jagua are just some of the authentic Cuban attractions that make the city of Cienfuegos so worth visiting. Sitting on the beautiful Bay of Cienfuegos which opens into the Caribbean Sea, Cienfuegos historical centre has been declared as a UNESCO World Heritage Site. The Jose Marti Square is the place where the exploration of the old city starts usually in our educational tours to Cuba. With our Authentic Cuba Tours guide bringing back to life the times when the US purchased the region of Louisiana from Napoleon, an event that prompted several families of French refuges from that territory to find a new home overseas in this area, we will relive the act of foundation of the city in 1819. Among the neoclassical buildings of great historical significance surrounding the square it is worth noticing the Cathedral of Cienfuegos showcasing the original French stained-glass windows of the 12 Apostles; the 950-seat Tomas Terry Theatre (1895) also displaying most original elements such as the ceiling frescoes and Cuban hardwood seats; the Palacio Ferrer, with its magnificent rooftop tower and elaborate marble staircase; the San Lorenzo School among many others. The local art produced in the city is nothing short of amazing. That’s why, we have scheduled a visit to the province's main art gallery, locally known as La Maroya, at the end of the day. This stop represents a great opportunity for US citizens to purchase original artwork which is an exception to the U.S. trade embargo on Cuba. We will stay overnight at Jagua a hotel which rises imposingly over the lovely Bahia de Cienfuegos. Diner is included every night. Evening: celebrate New Year’s Eve at a venue of your choosing tonight (optional/ not included in tour costs). Your tour guide will give you advice on the numerous venues in the city where you can partake in the celebrations for New Year’s Eve. He will also help you book your favourite dinner and event. Your hotel tour desk can also help with booking events for this special night where one more anniversary of the Cuba Revolution is also celebrated. Day 5. Wednesday 1 January 2020. Morning: this morning we will embark on a panoramic bus ride towards another Caribbean city, Trinidad, another authentic destination in Cuba. After traversing the Escambray mountain range and riding along the Caribbean shores, we will arrive at this city which seems frozen in colonial time. Founded by Spanish conquistador Diego Velazquez in 1514, Trinidad and the Sugar Mills Valley were declared World Heritage Site by UNESCO in 1988. In our quest to learn more about education in Cuba, it is important to visit rural schools. Cuba education tours represent a rare opportunity to visit the main art school in the province "Oscar Fernandez" and learn firsthand about the arts curriculum. Before the two wars of independence of the turn of the 19th century, the Valley of the Sugar Mills produced almost a third of Cuba’s sugar. Yet the wars devastated this region, and over 50 sugar mills were abandoned. Today the ruins of those (including slave barracks, manor houses, and milling machinery) dot the valley that was declared as a World Heritage Site by UNESCO in 1988. Complimentary Lunch: lunch will be served at the former estate of the Manaca-Iznaga family, showcasing the highest watch tower of Cuba used to watch over the slaves. Afternoon: back in the historical center we will meet with the Santader family at their pottery workshop to learn more about one of the authentic traditions of the city: pottery making. Our afternoon exploration will be centered around the Plaza Mayor which is the central square of the old city and it is surrounded by important colonial buildings such as the Iglesia Parroquial de La Santisima Trinidad, the oldest church and the main Catholic temple in the city; the Museum of Architecture which is housed in the former city residence of the Iznaga family; the Ortiz Palace containing the Provincial Art Gallery today; the Museo Romantico, the one-time Residence of the Brunet Counts with a valuable collection of colonial decorative arts and Cuban wood locally-made furniture; and many others. Street markets can be found abundantly in the various colonial squares and cobblestone streets of the old city. Your Authentic Cuba Travel guide will give you some free time to explore them on your own before getting back to your hotel in Cienfuegos. Evening: Casa de la Musica de Cienfuegos is the music venue we recommend tonight. It is a great chance to hear the best salsa bands of Cuba playing live and to dance with Cienfuegueros and tour mates alike. Day 6. Thursday 2 January 2020. Morning: Cuba educational tours should visit the historic city of Santa Clara in central Cuba if really trying to get to know the real Cuba and its modern history. We will tour monuments, museums and key battle sites of the Battle of Santa Clara which brought about the success of the Cuban Revolution of 1959. We will visit the Monument to the Armored Train, a key battle site where a handful of guerrilla fighters under the command of Ernesto Che Guevara captured an armored train with hundreds of Batista troops and military weaponry on the way to Eastern Cuba- a last attempt by the dictator to regain control of that region of the country. We will also visit the Ernesto Che Guevara Mausoleum, a crypt-like underground facility that contains the remains of the famous revolutionary and guerilla fighter and those of the men under his command who were killed in 1967 in Bolivia. Complimentary Lunch: a relaxing stopover at Los Caneyes restaurant will be next for some refreshments and complimentary lunch before heading back to Havana city. 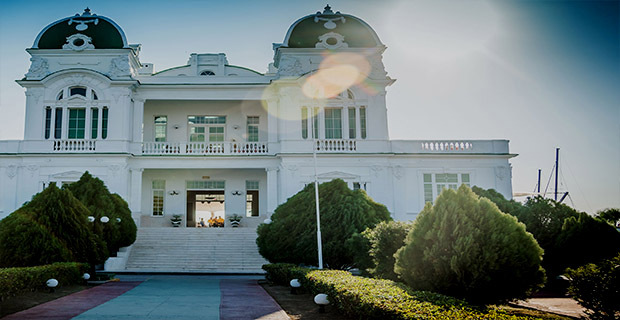 Late afternoon: upon arrival in the Cuban capital we will check in at our hotel- either the Riviera or the Melia Cohiba with the help of our 24/7 dedicated team of authentic Cuba professionals. Day 7. Friday 3 January 2020. Morning: also located in the Vedado neighbourhood, the University of Havana is the largest, oldest and most prestigious educational institution in the Caribbean island. It is also a mandatory visit in any serious education tours to Cuba. With a staff of over 1,500 professors and scholars, this university welcomes about 30,000 Cuban students each year. Recent reforms in higher education have brought about a reduction in the number of students pursuing social sciences and humanities studies as the country leans more and more toward agricultural degrees. Optional Lunch: Optional lunch presents as a great opportunity to eat in a privately-owned family restaurant which are abundant in the area. Your Authentic Cuba Travel tour guide will facilitate individual bookings and we will provide you with a list of recommended paladares before tour departure. Enjoy! Afternoon: a moving experience can be meeting Dra. Luisa Campos at the National Museum of the Literacy Campaign- at least in the view of thousands of North America educators that have had such a privilege as part of our Cuba educational tours. Dra. Campos will bring back to life the literacy campaign of 1961 through personal anecdotes and stories of young alfabetizadores (teachers) like herself who went to the country with a mission: teaching all Cubans to read and write within one year. Evening: tonight we will visit Cuba’s most popular and famed restaurant El Aljibe where we will enjoy a delicious farewell dinner. This is the time when we say goodbye not only to our fellow Cuba tour mates but tour our Authentic Cuba Travel guide and bus driver. Day 8. Saturday 4 January 2020. Early morning transfer to Havana's international airport for taking your flight back to North America via Miami, Mexico, Toronto or Nassau mainly. Guided tour of the Latin America School of Medicine, a jewel of the Cuban education system, and one of the largest medical school in the world. Visit to the University of Havana, founded in 1728, a pilar of education success in Cuba. Exchange with Cuban educators and students. Followed by a tour of the University of Havana.